Well! 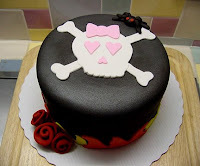 Happy Blogoversary to me! I know I've hit maximum overload when I plum forget that I've been at this here blog for the past 3 years. 234 posts later, Booktopia is still going strong! So thanks to those of you who read this. Thanks to those who comment. And big thanks to those of you recommending titles. It's the summer of 1963, and all is not well. Medgar Evans has just been shot, four little girls have been firebombed while at Sunday School, and who knows what else is going on that is not making the news. Things start changing when Old Man Adams up and dies. No one is more surprised than Addie Ann when she, her Uncle and Elmira the cook, are summoned up to the house for the reading of the will. Mr. Adams left a little something for each of them. Elmira gets his dutch oven, Addie Ann gets the television (that she used to secretly watch sometimes), and Uncle Bump gets a beautiful gold pocket watch. Everyone there is most interested in what will become of the house and grounds. After all, Old Man Adams has the best garden around. Imagine the looks on the sheriff's and mayor's faces when the lawyer announces that the garden is to be a shared community garden for whites and colored folks alike! But when most people in power are racist from their toes on up, this seems like a piece of Old Man Adams will that won't be honoured. Then something even worse happens. One day when Addie Ann's brother brings her to the general store, two bully white boys take her cat from her. All because she raised her eyes, and doesn't know her place. One boy is about to drop kick poor Flapjack when Elias comes to the rescue, lobs a honeypot at the boy's head, knocks him out and breaks his leg. Elias takes off swimming for his life in the Bayou. Addie Ann knows the sheriff and his hounds, along with the Klan will be after Elias. What follows is Addie Ann's struggle to get through. Her struggle to come to grips with what has happened to her family. And her realization that now is her time. The reverend always said that she would know when her time to the movement would come. When the hounds come for her Uncle, she knows it's her time, and Addie Ann rises to the occasion. 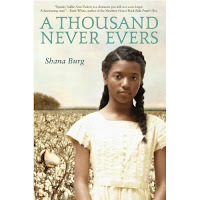 Brilliantly written, A Thousand Never Evers should have a place in every public and school library. Addie Ann and her family come alive off the page, as does the town of Kuckachoo itself. Equally heartbreaking and inspiring, Shana Burg has taken her own family's calling to the civil rights movement and made it into a work of art. This is one of the rare times that I put a recommendation here and at Welcome to My Tweendom. I do think that this book really does span from tween to young adult. The issues that arise can be discussed in various manners, and the summer of 1963 is one that we all need to know and think about! 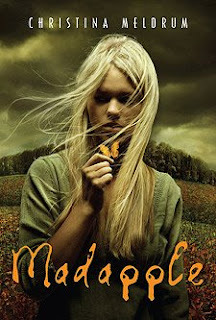 Catherine has never really met anyone like Skye Butterfield. Daughter of the Senator, Skye has been on television since she was a little girl. And when she decides to befriend Catherine while attending Esther Percy School for Girls, Catherine finds herself charmed and flattered. Catherine has maintained her friends from Waverly, of course. After getting caught in bed with her boyfriend John Paul, Catherine's father thought a school for girls would keep Catherine out of trouble, and concentrating on her studies and her horse riding. But John Paul still comes to her meets, and the first people that Skye wants to meet are Catherine's Waverly friends. What comes with the mix of her Waverly friends with Skye Butterfield is cocaine from South America,unsupervised trips away from school, and the slow destruction of marriages, friendships and love. 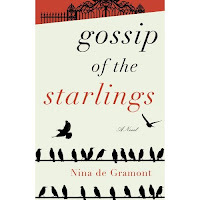 Nina de Gramont has captured the insular world of privileged youth perfectly. Set against the back drop of 1984, a school year in the reckless abandon of these teens reads truthful. Catherine, Drew, Susannah and Skye all know that no matter what, their parent's means will help them out of any situation - be it bringing drugs into the country, or sleeping with a teacher. John Paul's scholarship status does leave him more vulnerable than the rest, and it's amazing to read how little thought his friends give to his circumstance. This compelling story will be a good companion to John Green's Looking for Alaska, and E. Lockhart's The Disreputable History of Frankie Landau Banks. I first caught a glimpse of this arc at ALA in Philadelphia. I found the cover intriguing, so I tossed it into one of my bags. Then, while attending the last Random House preview, Madapple was on the list of books being discussed. After hearing the editors speak about it, I knew I had to move it to the top of my "To Read" pile. I read it a couple of weeks ago, and have been wondering how to go about blogging this title. There is so much going on here, and yet it all works! Aslaug has been living with her mother in Hartswell Maine in virtual isolation. Their household consists of the two of them, and they spend their days gathering local plants, and studying ancient texts, languages and lore. Whenever Aslaug has asked about her father, she is told she has none. And her mother's temper has taught her not to ask about much of anything else. When Aslaug's mother dies, Aslaug herself is accused. After all, her neighbour sees her dragging the body to the yard to bury it. But what else is Aslaug to do? She has no real sense of how the world outside of her home works. Once her name is cleared, she travels into the next town to look for a building where her mother once brought her. They had simply sat in the car and looked at the place, but Aslaug knows that her mother would never do something without reason. She finds the building, and is soon talking to Susan, Sara and Rune. Her family. Aslaug is soon intertwined in a family saga filled with twists, turns and untruths. She has survived so much already, can she survive this? Christina Meldrum has written a devastating, gut-wrenching, compelling and thoughtful story. The amount of research that must have been put into the sections on herbology and botany alone confound me. There are deep discussions of religion and faith, along with language and science. The characters are all broken but fierce, and I found myself loving and hating them in equal measure. Readers need to buy into the story, but once there, will not be able to put this book down. I have not come across a book as astounding as Madapple in a very long time.